Sangla is a town situated in the Sangla valley. It is located in the Kinnaur District in Himachal Pradesh near the Tibetan border. This town can almost pass for a city because it has almost all the basic amenities of a city life minus the hustle and bustle and excess pollution. This town is surrounded with snowcapped mountains and lush greenery. It is well known for the luscious apples and cherry orchards. The main attraction here is the Bapsa River that adds to the beauty of the town. It flows right through the town giving it a totally divine feeling. Apart from these, this town as a number of other tourist attractions which includes temples and forts. There are many hotels to stay in this town; however, people say that the best way to enjoy your stay here is by staying in the tents offered by agencies, in the wild. However, these tents are way more expensive than the hotels. We have listed down a few places you must not miss if you are in Sangla. Kamru fort is located at a distance of 2 km from Sangla. It is situated at a height of 2600 m above the sea level. 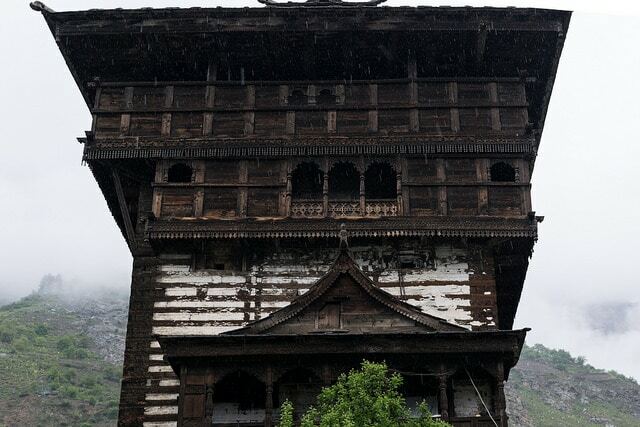 It is a good architectural example of Sangla’s past. This fort has now been converted into a temple of Goddess Kamakhya Devi. Her idol is placed on the third floor and it is said that this idol was brought from Assam. One has to pass through a number of gates before actually entering the fort. A huge picture of Lord Buddha can be seen at the entrance. A Badrinath temple is also situated within this temple. Once, every year, the idol of Kamakhya Devi is taken to the Gangotri River (the starting point o the Ganges) to honor the Goddess. 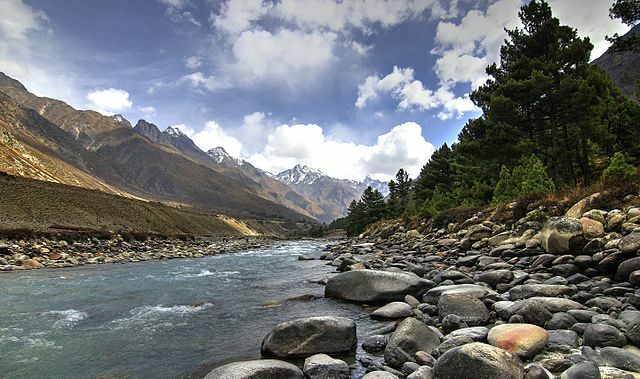 Chitkul is situated 20 kms away from Sangla and is considered as the last village that is inhabited before the India – Tibet border. It has the beautiful Bapsa River to its left and majestic mountains to its right. This village is well known for its potatoes which are quite expensive. 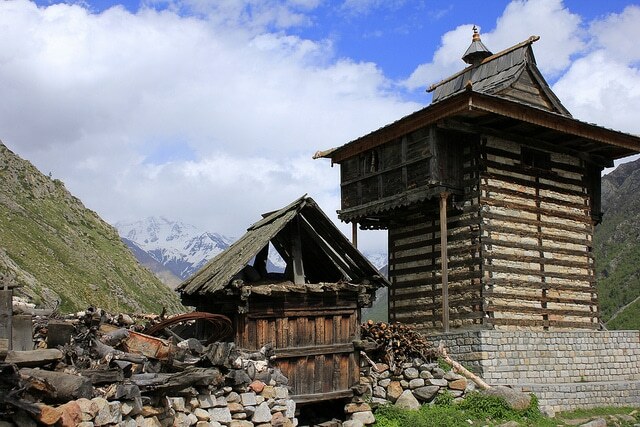 Temple of their local Goddess “Chitkul Maathi” or better known as “Mata Devi” is situated in this village. People from the entire district come to worship in this temple. This place experiences heavy snowfall during the winters, making it totally un-inhabitable. Baspa is a fast flowing river. It passes through the Sangla hills making the place even more beautiful. Rainbows and brown touts can be seen on either sides of the river. This river is home to a wide variety of fishes. Rare species of fishes can be seen in this river. This river is what we call “picture perfect”. Tourists are usually attracted to cross the river as it includes sailing in a basket. The surroundings are also perfect for people who are into camping. Overall, the river has a sense of peacefulness to it and if you are looking or relaxation, this might just be the place for you. This belongs to the religious tourist attractions category. Bering Nag temple is another outstanding example of the architectural past of the place. Lord Jagas is worshipped here. This temple is said to be one of the most important temples for Hindus. A popular fair called the Fulaich fair is held here yearly, between the months of August and September. 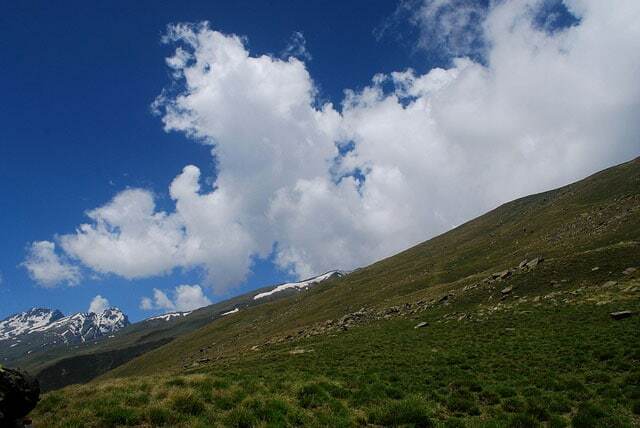 Also known as the Sangla Kanda, Sangla Meadow is another place blessed with the wishes of mother nature. The beautiful green meadow with the snow-capped Himalayan ranges surrounding it is a perfect treat to the eyes. The Kinner Kailash is clearly visible from here, thus adding to the importance of the spot. One can see the traditional lifestyles and huts of the people here. Sangla is a perfect place to visit with your family. The best time to visit Sangla is during the summers or monsoons. The winters here are pretty harsh with the temperature ranging between -10-degree C to 10-degree C. Summers on the other hand, are not very hot and monsoons bring about only a little amount of rainfall. Such pleasant climate makes it easier to explore the beautiful town without any hindrances.